Game of Thrones meets Oceans Eleven?? because I'm still too chicken to watch GOT. HAHA! and we haven't even met them yet!! Also, the cover is freaking gorgeous. I can't wait to have this book in my hands. Oh yes! Most definitely looking forward to this one too! My wow's at YA Story Teller. So so excited for this one. 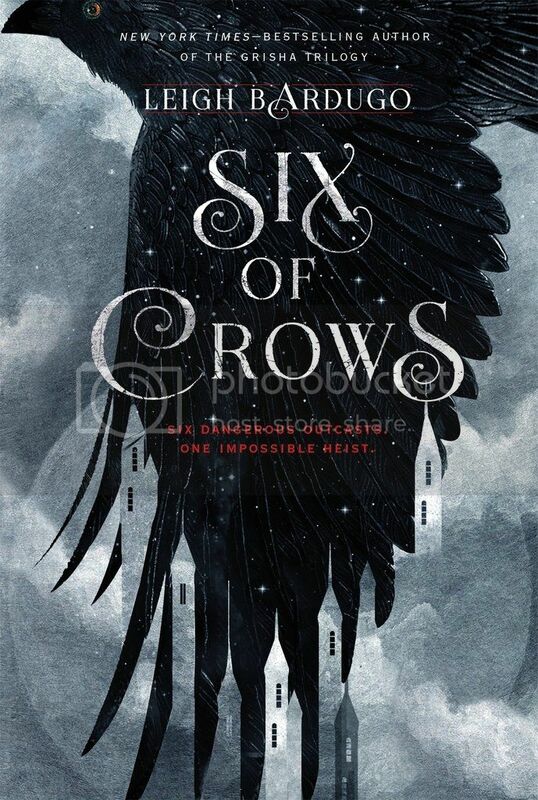 I loved the Grisha series so I would have read any book by Leigh Bardugo anyway, but this really does sound brilliant! I love books about heists. Great pick! Great pick! I've seen this one around a lot! I love the whole crow thing. I've never seen OCEAN'S ELEVEN and only watched an episode or two of GAME OF THRONES, so I don't know the comps very well, but I like the criminal concept this seems to have going on. And I still need to finish the Grisha trilogy! Great pick! Leigh Bardugo's books sound so amazing but I've yet to read one! I'll definitely have to check this one out when it is released.